You'll discover tucked-away gems like Nature & Wildlife Tours and Scuba & Snorkeling. Spend the 24th (Mon) spotting exotic species with a safari tour. On the 28th (Fri), spend an adventurous day with a kayaking and canoeing tour. Next up on the itinerary: admire the sheer force of Mosi-oa-Tunya / Victoria Falls National Park, explore and take pictures at Crocodile Ranch, stroll through Siduli Hide, and let the river carry you with a rafting and tubing tour. 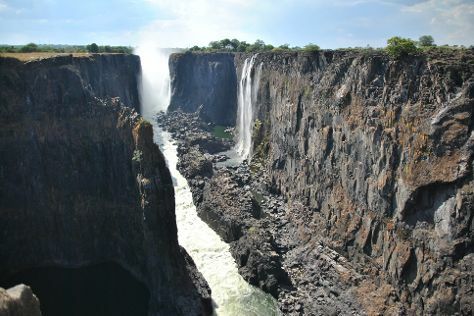 To find maps, where to stay, and other tourist information, read our Victoria Falls trip itinerary site . Brussels, Belgium to Victoria Falls is an approximately 17-hour flight. You can also do a combination of train, flight, and car; or do a combination of flight and car. Traveling from Brussels to Victoria Falls, you'll lose 1 hour due to the time zone difference. Expect somewhat warmer weather when traveling from Brussels in June: highs in Victoria Falls hover around 29°C, while lows dip to 10°C. Wrap up your sightseeing on the 28th (Fri) early enough to travel to Chobe National Park. Eschew the tourist crowds and head to Savute Reserve and Nogatsaa and Tchinga. To see reviews, traveler tips, maps, and other tourist information, go to the Chobe National Park trip itinerary builder . Traveling by shuttle from Victoria Falls to Chobe National Park takes 4 hours. Finish your sightseeing early on the 1st (Mon) so you can travel to Kongola. 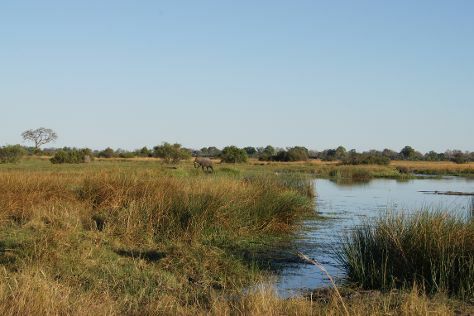 Kongola is a village and the district capital of the Kongola Constituency in Namibia's Caprivi Strip. Kick off your visit on the 2nd (Tue): explore the striking landscape of Nkasa Rupara National Park. Get ready for a full day of sightseeing on the next day: look for gifts at Mashi Crafts and then examine the collection at Mafwe Living Museum. To find ratings, other places to visit, maps, and other tourist information, refer to the Kongola driving holiday planner. The Route module can help you plan travel from Chobe National Park to Kongola. In July, daily temperatures in Kongola can reach 30°C, while at night they dip to 12°C. Finish your sightseeing early on the 3rd (Wed) to allow enough time to travel to Etosha National Park. Kick off your visit on the 4th (Thu): tour the pleasant surroundings at Etosha Pan and then make a trip to Okaukuejo waterhole. For where to stay, reviews, maps, and more tourist information, use the Etosha National Park road trip site . Traveling by combination of car and flight from Kongola to Etosha National Park takes 7 hours. Finish your sightseeing early on the 4th (Thu) to allow enough time to travel back home.